But, in 1956, little thought was given by the nationally owned Central Electricity Authority to the risks from Nuclear materials, or the costs of handling them in use or disposal. The National Audit Office, in July 2016 (table 12) Nuclear Power in the UK shows that the cost per MWh is lower for solar and onshore wind than for Nuclear. These were based on a ‘Strike Price’ of £92.5 MWh whereby, for the first 35 years (protected against inflation), the operators would receive the difference between the wholesale price (3.7p kWh at that time) and the strike price (ie 9.25p kWh) . As at 28th July 2016 contracts for Hinkley Point C were suddenly delayed, awaiting a UK review in controversial circumstances. See Carbon Brief for more detail. According to the Guardian in March 2016 if the UK Government “permanently prevents the construction…..” of Hinkley Point C it could trigger a ‘poison pill’ compensation of £22bn!!!!! It is not clear whether failure to sign the current contract offered by EDF would incur this astronomic compensation for UK Taxpayers/billpayers to find. This ‘Contracts for Difference’ guarantee would be from the same bill payer contribution as for solar feed-in tariffs. The report notes that figures for Nuclear necessarily contain many enormous assumptions and unknowns. Nevertheless it points out significant figures for UK Nuclear on top of the contracts for difference costs. Government guarantees to underwrite disasters, (such as Fukushima, Five Mile Island and Chernobyl that occur from time to time). See below. Infrastructure spend only suitable for large scale Nuclear. A significant proportion of that [solar subsidy] – £10.9 billion – is for the development of energy storage and flexibility infrastructure that would also be of benefit to other variable but predictable renewable sources.” (ie infrastructure for Moorside, is being opposed by residents who want the connection with the grid underground “20 miles of buried lines would cost about £450m more than using pylons” according to the Guardian in April 2016. Cost overruns: From 2008 when the cost of Hinkley B was predicted to be £5.6billion to 2014 it had risen to £24billion, whereas the cost of solar had fallen by 70% from 2010…. It is not clear whether cost overruns would be charged to tax payers or energy payers rather than project developers. These risks apply throughout the whole lifecycle from mining to disposal, requiring costly safety measures and recovery from exposure incidents. According to the World Nuclear Association’s report ‘Safety of Nuclear Power Reactors’ (updated Aug 2015) “There have been three major reactor accidents in the history of civil nuclear power – Three Mile Island , Chernobyl and Fukushima.” The report notes a very low level of death of workers from Nuclear compared with Coal Mining and Hydro (dams bursting), although omitting subsequent deaths from radiation in Japan and Chernobyl for instance. “Estimates for the cost of the Chernobyl nuclear disaster have been put at between $75 billion and $360 billion.” According to the New York Times in April 2014 “the Chernobyl arch alone will end up costing about $1.5 billion, financed largely by the United States and about 30 other nations” and, according to the RT in April 2016, the EU committed a further €70m in April 2016 to make the Chernobyl exclusion zone safe. Although the risks of Nuclear meltdown may be very small it has happened before but the consequences in terms deaths, damage, power shortages and financial ‘open chequebook’ are enormous. Nuclear is regarded as a ‘baseload’ ready to provide power when there is no wind or sun. However the full range of renewable energy sources, between them can be suited to this role. Whereas Nuclear is “a comparatively inflexible energy which is hard to turn on and off and requires a particular type of energy grid to give best value, which differs from the kind of infrastructure that optimises the potential of renewable energy.” Nuclear can still have problems with reliability. “Conventional power generation, also has problems with “intermittency”, as coal stations can be down for six and a half weeks a year and Nuclear can be closed for long periods”. 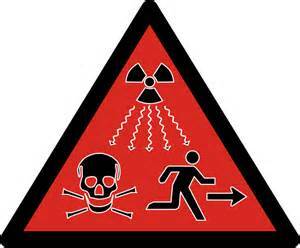 Nuclear operations can be affected by heat waves, that are becoming more frequent. However, hydropower,, enhanced geothermal systems, power from biomass; concentrated solar with heat storage and tidal lagoons are predictable and ‘dispatchable’ (can be made available quickly). Studies and proposals to evolve the power distribution infrastructure include Jacobson and Delucchi who say that, globally and nationally, we can provide all global energy with wind, water, and solar power in Providing all global energy with wind, water, and solar power, Part I. The Toxic Time Capsule points out that Nuclear “requires a particular type of energy grid to give best value, which differs from the kind of infrastructure that optimises the potential of renewable energy..” Whereas the UK National Infrastructure Commission (NIC) report Smart Power in March 2016 that says that power will become more localised and 2-way, requiring more interconnection, storage, and demand flexibility. To maintain the energy supplies to avoid UK people having their ‘lights turned off’ new sources of electricity are needed quickly to replace fossil fuel sources. The reliance of Nuclear in the Nov 2015 Government policy ‘New Direction for Energy Policy‘ for a new fleet of Nuclear powered Power stations is not quick or cheap for billpayers and tax payers.